So why see a counsellor? Many people feel that they should be able to cope with their problems without involving someone outside friends or family. People may even feel that since they have shared their problems with a close friend already, and they still don’t feel any better, so what is the point of going to see a counsellor? Some worry about the financial cost - others worry about talking to someone else about people close to them as it feels somehow “disloyal”. Others again feel it is definitely a sign of weakness to have to go to someone professionally for a personal problem. The truth is though, that seeing someone outside your family and friends circle will give you a different perspective on your problem. A good counsellor with be genuinely empathic and will validate your feelings, while at the same time helping you to think “outside” the box and to understand why others in your world behave the way they do. The counselling place is a space where you can say pretty much anything you want, without fear of judgement. You can admit to negative and worrying thoughts with a counsellor that you would not dare to say to a friend or family member. You might think that your thoughts are daft or irrational - you might be afraid of hurting someone by saying what you really think. You also might be afraid that your private thoughts might get shared without your consent around your social networks. So you keep a lot of things locked up inside you and they never really see the light of day. A good counsellor will listen to you and help you unpick what is going on. There are often elements in problems that relate to things that happened in the past, or worries about the future - or it may just be that the present itself seems impossible to negotiate. One problem may be linked to a whole lot of other problems, which you might not be aware of when you first discover that feeling that you simply “can’t cope”. So for example, a bereavement that affects you more than you think it should, may be linked to other kinds of loss or even losses further back in your family history. I hope this brief article explains why it is useful to come and see a counsellor if you feel in need of a “new look” at a problem that you are struggling with. Jennie Cummings-Knight (MA, MBACP, PGCE, FHEA) is a practising psychotherapeutic counsellor who also writes articles and reviews, and who leads workshops and seminars. 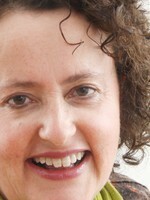 She has 14 years of experience in the counselling world, as lecturer, programme leader and therapist.